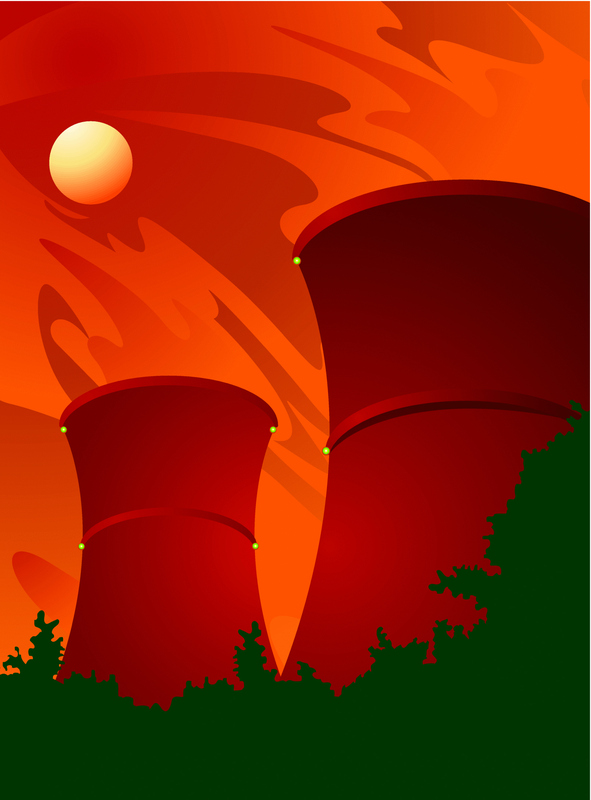 Why Close a Perfectly Good Nuclear Power Plant? Low natural gas prices continue to impact the U.S. electric markets in new and surprising ways. While teaching a class recently, I was asked why Dominion Resources would be closing its Kewaunee nuclear plant in Wisconsin rather than simply selling the unit if they no longer wished to run it. The questioner went on to say that, seeing as the unit is already in place and should have very low variable costs, why wouldn’t someone want to keep it running and bid the energy into Midwest ISO (MISO) markets to presumably make money? At the time, I didn’t have a good answer. So I decided to do some research and find out. And the bottom line answer is that the market believes power can currently be obtained more cheaply in other ways than by owning and running a nuclear unit. First, a bit of history. The unit was put on line in 1974. Dominion purchased the 568 MW Kewaunee plant from Wisconsin Public Service and Alliant Energy for $192 million in 2005. As part of the deal, the two sellers agreed to purchase power from the unit through December 2013. After buying the unit, Dominion applied for and recently received an extension of the unit’s operational license allowing the unit to operate through 2033. Soon after receiving the extension Dominion decided that Kewaunee no longer fit its strategic plans and attempted to find a buyer. But no buyer came forward, and in October 2012 Dominion announced it would close the unit by mid-2013 rather than continue to operate it. Which leads us back to the question – why was existing nuclear power not an attractive investment in Kewaunee’s case? The answer is that low wholesale power prices driven by low natural gas prices and an influx of wind power may no longer support enough revenue to cover the fixed costs of running the plant plus the required return on investment for any buyer. And since fixed costs don’t necessarily decline much as unit sizes decline, this can be especially problematic for smaller units like Kewaunee since they have fewer MWh to spread fixed costs over. This may not be a big concern if the unit has fixed costs covered under regulated utility rates. But when a company like Dominion runs a unit as a merchant plant, variable costs, fixed costs, and investment return have to be covered through market-based revenues. Some markets have a capacity payment that units receive for simply providing reliable capacity to the market and then also receive revenues from energy sales. But in MISO, capacity revenues are relatively small, meaning Kewaunee was looking at future of depending on market-based energy revenues once the existing power purchase agreements expired in 2013. Looking at energy prices at the most commonly traded Midwest point, MISO’s Indiana Hub, we can see that prices have dropped significantly in the last three years. And given MISO’s method of using a location marginal price, average prices in Wisconsin are even lower. So for a nuclear unit that might have a variable operating cost of $20/MWh, there just simply may not be enough revenue left to make the unit a reasonable investment. Clearly that is what potential buyers concluded. Does this apply to other units? But others have expressed concerns that merchant units may find it harder to make sufficient revenues in times of low market prices. Entergy’s CEO Leo Denault recently stated on an analysts call that some of its nuclear merchant units are “in challenging economic situations”. In the longer term, keeping existing nuclear units open helps diversity of fuel, keeps down greenhouse gas emissions, and supports grid reliability. And in the long-term existing units may prove to be good investments assuming power prices rise in the future. But in the short-term, shareholders of merchant power companies may not care to wait if they perceive that other more attractive investments are available. So we will need to watch the situation to see if other nuclear units may face the same fate as Kewaunee. This entry was posted in Electricity, Energy Training and tagged Electric Utilities, Electricity generation, Electricity Training, Energy Education, future of electricity, Kewaunee, Nuclear, Nuclear power, Power plants. Bookmark the permalink.